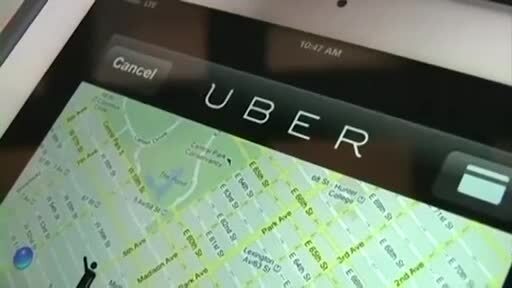 ​BUNNELL, Fla. -- Kimberly is a mother of seven children who uses her Kia Soul to make extra cash with Uber. She picked up her last fare Wednesday outside a storage facility on State Road 100 in Bunnell. The rider was 44-year-old Betty Jo Halter who the victim says just started ranting. "Jumped in telling me, people are going to kill us. I'm like 'who?' " Kimberly recalled. The Uber driver says Halter started putting all kinds of items in her vehicle from the storage units, including a small dog and a porcelain doll. The driver says she became alarmed and told Halter she couldn't take her. Instead, she said Halter jumped in the Uber and said: "'Just go, you are on my time, and you do as I say or,' and then she just like pointed, she had the gun sitting beside me and like pointing it." The victim says Halter made her turn off her phone so the route couldn't be tracked, continually ranting, repeatedly naming people. "I don't know who these people are or what she's talking about. I was just trying to just get to where she wanted to go. She rode in the front with me with her pocketbook and the gun right beside me," Kimberly said. After nearly three hours, they wound up at a Palm Coast home on Eric Place. According to the sheriff's report that is where suspect Halter lives. But the victim says Halter claimed people there were after her and Halter hid on the floorboard. At some point, the Uber driver says Halter got out, and she saw her chance to take off, then stop down the road and call for help. On the 911 call, you hear Kimberly say: "I drive Uber ... for Uber ... I just had somebody hold me hostage in my car for like two and a half hours with a gun." Halter was arrested Wednesday and charged with aggravated assault with a deadly weapon and false imprisonment, WESH.com reported.